Nickelback have canceled their North American tour to promote their latest album, “No Fixed Address.” Doctors have diagnosed frontman Chad Kroeger with a cyst on his vocal cords, and the remedy involves surgery and resting his vocal cords. Nickelback’s tour was scheduled to begin on June 19, but the group had already pulled the plug on the run’s first two shows to allow Kroeger to rest up and hopefully get better. Then, the diagnosis that came back was much more serious than expected, forcing all of Nickelback’s stops scheduled through Sept. 4 to be canceled. 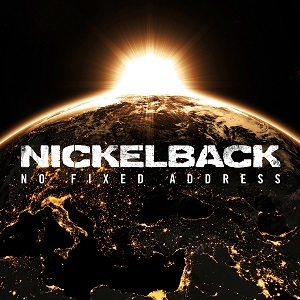 Nickelback have already spent a good portion of this past year touring behind “No Fixed Address.” The earlier run featured openers the Pretty Reckless and Pop Evil. Lifehouse was slated to tour with Nickelback this summer. The good news is that doctors expect Kroeger to recover in time to play the band’s European tour, which kicks off Sept. 30 in Helsinki, Finland. The band guys are also expected to tour North America again in 2016.